Spend some time taking in Wallowa and Lostine as you pass through. There are lots of little gems to find and explore in both towns, including shops, restaurants, parks, museums, and historic markers. Enterprise is the biggest of the towns in the valley. It has the classic look of a small American town-- the quaint main street, the classic town hall that looks like it could be out of “Back to the Future”, flags on the light posts, folks chatting on the sidewalk. The main street in Enterprise is postcard perfect and has some interesting shops and restaurants to check out. Sugartime is a new-ish bakery and well worth stopping in for a snack. Terminal Gravity, though, is the best known business in the town. They brew some fine beer and have a NW focus on Oregon, Washington, Idaho, and Hawaii for distribution. Terminal Gravity is located just off the main road as you’re headed to Joseph. You have to look carefully for a small sign pointing the way. The Brewery is a sprawling affair, and the taproom is based in a tiny bungalow set way back from the street. The front yard of the bungalow is full of tables, and there is a brook running through the yard that is filled with children playing all summer long. There are shade trees, umbrellas, and a stage for some evening entertainment. It is a perfect spot to kick back and enjoy a couple beers. Just past Enterprise, Joseph sits at the foot of the Wallowas. The town’s main street comes in from Enterprise and extends all the way to Wallowa Lake. Joseph has traditionally been known for bronze casting, and for some reason there are a huge number of bronze artists living in the area. I’ve always gone to Joseph for outdoor recreation or studying history. I’ve never really researched the bronze casting heritage of Joseph. Where Enterprise feels like a cute little town, Joseph feels more like the Wild West. The town is focused around the main street and really only runs back a few blocks on either side. Each time we’ve visited in the past few years there have been more and more boutiques and little shops. Joseph is getting increasingly touristy, which has some advantages, but also some disadvantages. You can walk the main street in 10 minutes, but you can also spend a full day exploring all the galleries and studios. There are a few restaurants, but we are usually there for the outdoors and end up craving a burger after hiking in the woods. Embers Brewhouse is a solid choice with great outdoor seating and a cozy interior. They have a solid tap list and all the pub standards. The service is friendly, and the food is plentiful. Red Horse Coffee is a solid morning choice if you’re staying in Joseph. It is basic coffee shop fare, but all you really need to start your day. As you continue from downtown Joseph along the main road to Wallowa Lake, you pass Iwetemlaykin state historic site, which is a small network of trails on Nez Perce ancestral homeland. It offers great views of the mountains and the beginning of the Wallowa river. Just up the road from Iwetemlaykin is the Old Chief Joseph gravesite. The gravesite sits in a picture perfect setting overlooking Wallowa Lake and the Eagle Cap wilderness. From the gravesite you also can take in the scale of the East Moraine, which rises over 850ft above the lake. The Moraine was formed by Ice Age glaciers as they pulled back out of the mountains. There are actually moraines on 3 sides of Wallowa Lake, but the East Moraine is the biggest and most obvious and you can hike it for stunning views of the lake and mountains. 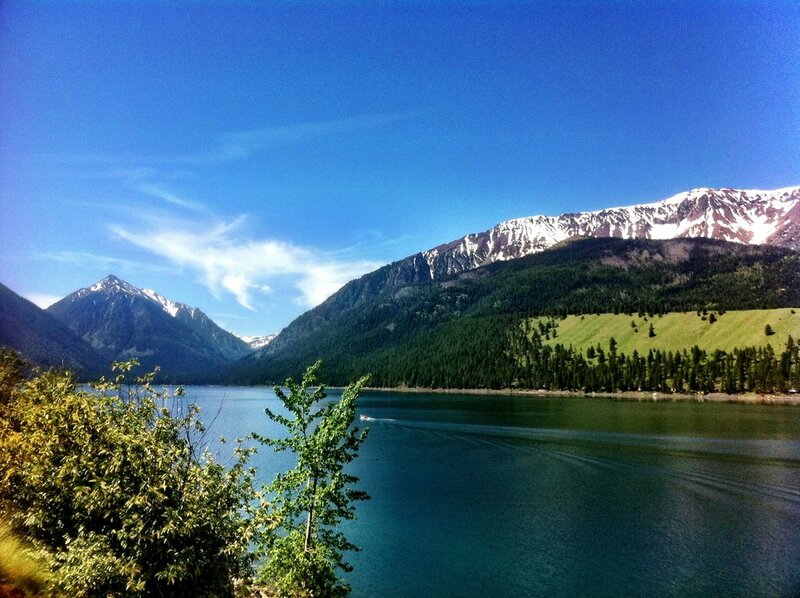 At the very south end of Wallowa Lake is the gateway to Wallowa recreation. Nestled there along the shore, at the foot of the mountains, are Wallowa Lake State Park and the historic Wallowa Lake Lodge. There are also some touristy restaurants, bumper boats, go carts, mini-golf, horseback tours, and a few trailheads for backcountry access. The lodge is a quintessential old lodge, wood clad, creaky, no AC, no TV, and spotty internet. There is a giant lawn out back and a porch full of chairs for taking in the quiet. It is a great place to kick back with a book and relax. The state park is a developed grassy campground with toilets, showers, boat launch and beach access. It isn’t secluded or private, but it is a nice enough campground. It does book up, so check before you show up. You can start your Eagle Cap Wilderness hike from here, or you can use the gondola for a quick trip to the top of Mount Howard for a day hike at elevation. The top of the tramway has hiking trails, viewpoints, and of course a snack bar. 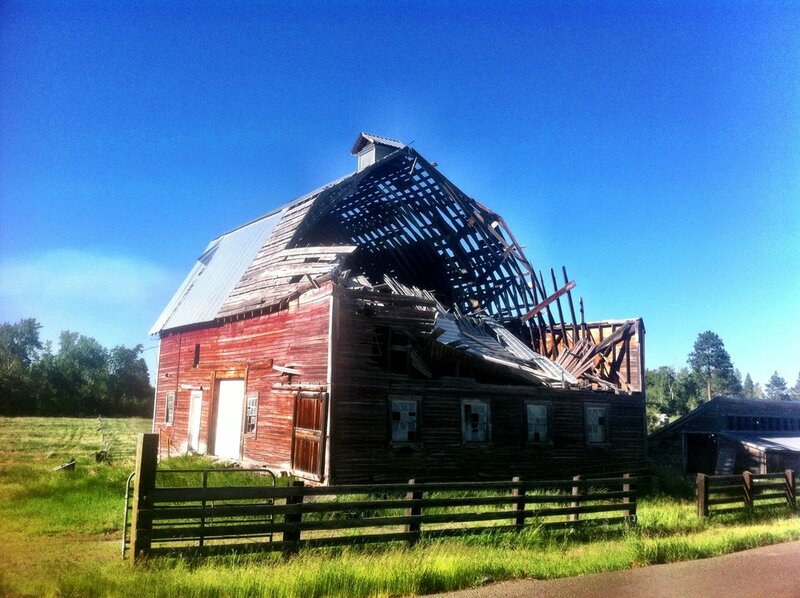 The Wallowa Valley is filled with things to do. No matter your age or fitness level, there is something there for you. Joseph is a great launching point for further exploration of Hell’s Canyon. In fact, many people start in Baker City or La Grande and loop up through the Wallowa Valley and back down through Hells Canyon. It is a great way to take in the entire area. You can access the Eagle Cap Wilderness from many points in the valley. It all depends on what hike you want to do and how challenging you want to make your day hike or backpacking trip. The Wallowa Valley is also the homeland of the Nez Perce Indians. 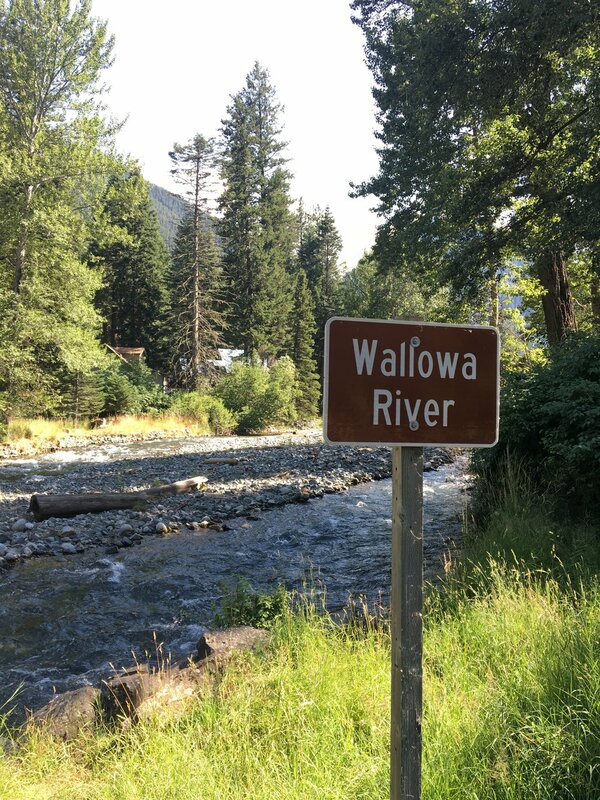 The town of Wallowa has an interpretive center on Second Street. Also in Wallowa is the Homeland Project, a 320 acre site that the tribe is developing as the permanent site for the Tamkaliks, which is a yearly celebration with food, dancing, and a horse parade. It was started to bring the Nez Perce and the community together. Joseph and Enterprise are your best options for food. Both have ample restaurant choices, and each has a supermarket. Wallowa and Lostine do have a few food options too, though. The Blue Banana Coffee shop in Lostine is worth a stop; and trust me, you won’t miss it as you pass through town. The valley holds lots of lodging. There are B&Bs, motor lodges, camp sites, and the recently remodeled Jennings Hotel and Sauna. There is something to fit every budget and every aesthetic. The valley is popular in the summer, so best to have your lodging booked well in advance. That being said, I once came through mid summer on a bike tour and lucked into a room at the Bronze Antler Bed and Breakfast. Not cheap, but the heavy rain that continued overnight justified it! Though summer is when most people head to the Wallowas, all four seasons hold a unique beauty, so pick your favorite season to visit. Summers can be very hot and dry, winter is very cold, and spring and fall can go either way. You’re at elevation, so expect the nights to get cool no matter what season you visit.